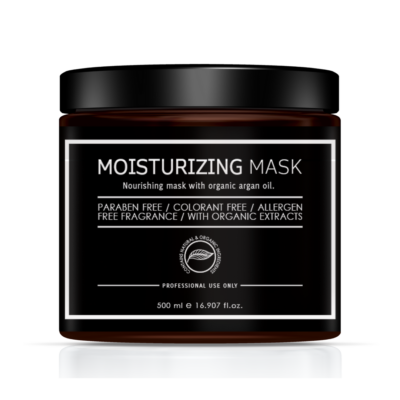 The new Moisturising Mask Treatment is produced using pure deionised water and is now Paraben Free, Mineral Oil Free, Artificial Color Free and Genetically Modified Soy Bean Free. Infused with Green Tea Extract providing antioxidants, Hydrolyzed Wheat Protein providing nutrition and also Argan Oil, Jojoba Oil, Shea Nut Butter and Glycerine to provide moisture and shine to the hair. Contains mild acidic PH value of 5.5 neutralizes anions in damaged hair, softening hair.